The sweetly satisfying Begin the Begone might just be the best Orange Peels outing yet. Sometimes the most beguiling music comes from unexpected places -- or places that shouldn't be unexpected at all. Take the Orange Peels, for example. A San Francisco Bay Area band, they've been making the most appealing music since the late '90s, and sad to say, only a relative few folks have bothered to take notice. That's certainly not a testament to their acumen or ability, but rather to the general indifference of the masses as a whole. All it takes is the most minimal listen to any of their music to understand the overall injustice that this sad scenario imposes. That then brings us to Begin the Begone, the band's sixth album and one that bears a title that seems somehow appropriate considering that general lack of awareness. The follow-up to last year's comeback of sorts, Sun Moon, it almost didn't get made due to a serious auto accident involving prime members Alan Clapp and Jill Pries following the tour meant to celebrate that album's release. Fortunately, the group was able to regroup and continue on undeterred either by misfortune or missed opportunity, whatever the case may be. As a result, Begin the Begone finds them once again running through a juggernaut of classic influences, a range of sounds that can be alternately described as power pop, indie pop, semi psychedelia or classic rock, depending on whatever broad categorisation the critics might opt to apply. That's an even broader description still considering the fact that this latest opus is only nine songs long, and that its remarkable diversity is squeezed into such a limited expanse. It's a credit to their sheer reckoning, ingenuity and determination that so much transpires therein, and that the melodic appeal is sustained regardless of limited circumstances. The initial evidence of that fact becomes apparent with album opener "Head Cleaner", an instant infusion of rousing, celebratory pop rock given a circular riff that instills additional appeal from the get-go. Follow-up "Fleeing the Scene" continues that tact, all power pop persuasive and filled with the effusive good cheer that the Orange Peels are known to possess. "Embers" follows suit, upping the level of enthusiasm with more bright, effervescent ingenuity. "Post & Beam", an unlikely drum solo of sorts accompanied by atmospheric effects, keeps the energy intact, leading the way to "9" and further rhythmic revelation. Still, some of the best parts of the album dismiss the pacing altogether and focus instead on shimmering, soft-hued ballads with Beatle-esque, Beach Boys and Pink Floyd-like luminescence. "Satellite Song" and "Wintergreen" are the best of those, thanks to subdued harmonies within a slightly cosmic context. Yet even an instrumental like "Tidepool" offers a soothing effect, affirming the album's inherent appeal in the process. 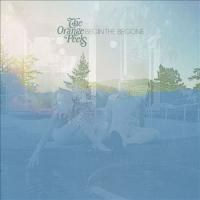 Ultimately, Begin the Begone provides further reaffirmation of the Orange Peels' prowess, a hidden treasure of an outfit that's never failed when it comes to exceptional output. Arguably it's their best yet, and like all Orange Peels efforts, it's sweetly satisfying as well.